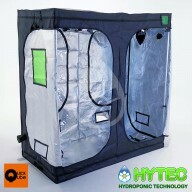 The Quick-Qube (patent-pending) is the latest grow tent to our collection and is a completely new & different way to create an easy growing space FAST! Adapted from an industrial gazebo frame, the patented pop-up up upgraded framework combines Green-Qube’s class-leading outer shell with a super sturdy yet lightweight aluminium frame. 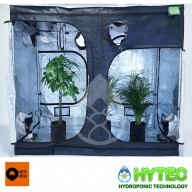 QUICK-QUBE QQ1224L (NEW) - 1.2M X 2.4M X 2.2M - GROW TENT SILVER The Quick-Qube (patent-pending) is the latest grow tent to our collection and is a completely new & different way to create an easy growing space FAST! Adapted from an industrial gazebo frame, the patented pop-up up upgrad..
QUICK-QUBE QQ200L (NEW) - 2M X 2M X 2.2M - GROW TENT SILVER The Quick-Qube (patent-pending) is the latest grow tent to our collection and is a completely new & different way to create an easy growing space FAST! Adapted from an industrial gazebo frame, the patented pop-up up upgraded fr..
​QUICK-QUBE QQ1530L (NEW) - 1.5M X 3M X 2.2M - GROW TENT SILVER The Quick-Qube (patent-pending) is the latest grow tent to our collection and is a completely new & different way to create an easy growing space FAST! Adapted from an industrial gazebo frame, the patented pop-up up upgrade..
QUICK-QUBE QQ240L (NEW) - 2.4M X 2.4M X 2.2M - GROW TENT SILVER The Quick-Qube (patent-pending) is the latest grow tent to our collection and is a completely new & different way to create an easy growing space FAST! 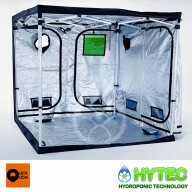 Adapted from an industrial gazebo frame, the patented pop-up up upgrade..
QUICK-QUBE QQ2030L (NEW) - 2M X 3M X 2.2M - GROW TENT SILVER The Quick-Qube (patent-pending) is the latest grow tent to our collection and is a completely new & different way to create an easy growing space FAST! Adapted from an industrial gazebo frame, the patented pop-up up upgraded f..
QUICK-QUBE QQ300L (NEW) - 3M X 3M X 2.2M - GROW TENT SILVER The Quick-Qube (patent-pending) is the latest grow tent to our collection and is a completely new & different way to create an easy growing space FAST! Adapted from an industrial gazebo frame, the patented pop-up up upgraded fr..